HAVING grown up in poverty himself, John Mbeleko has dedicated himself to lightening the load of others. John told Daily Sun he was separated from his mum when he was very young. “As a kid, I grew up surrounded by poverty so I know what it’s like to go to bed on an empty stomach. “Giving to others makes me happy. Those who are disadvantaged need to be given hope to succeed in life,” he said. John, who lives in Thaba Nchu, has been running a hunger relief programme for a number of years and buys food parcels for poor families. He said he felt as a responsible citizen it was his duty to share what he could with people who are struggling. 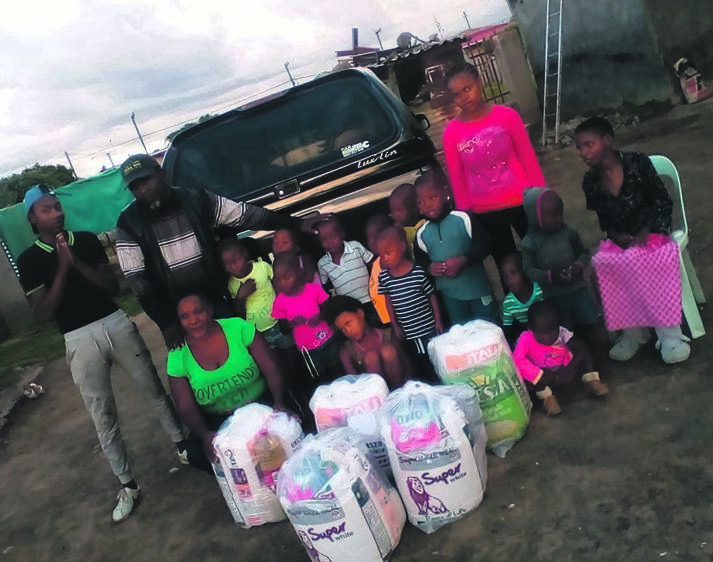 On Wednesday he handed out parcels to a shelter in E section, Botshabelo, in Mangaung. He said when he visited the shelter he was heartbroken. He promised to provide groceries every month. Owner Nthabiseng Tsheole said she lived there with 18 kids aged from 3 to 16 and, although they received grants, they often ran out of food. The unemployed woman said she has been looking after the kids since 2006. Some of them are orphans, while others have been abandoned.